As we wrap up our holiday shopping (pun intended) and finalize our travel plans this holiday season, many of us can’t help but to think of what delicious food and drink we will be enjoying before the New Year. One particular ingredient that comes to mind when I think of the holidays is peppermint. This cool and refreshing herb is the star of many beverages and desserts during this time. Fresh peppermint is a very good source of Calcium, Copper, Dietary Fiber, Folate, Iron, Magnesium, Manganese, Potassium, Riboflavin, and Vitamins A and C. It is also a good source of Niacin, Phosphorus and Zinc (source). In addition, peppermint boasts various health benefits. Check them out in a previous post, here. 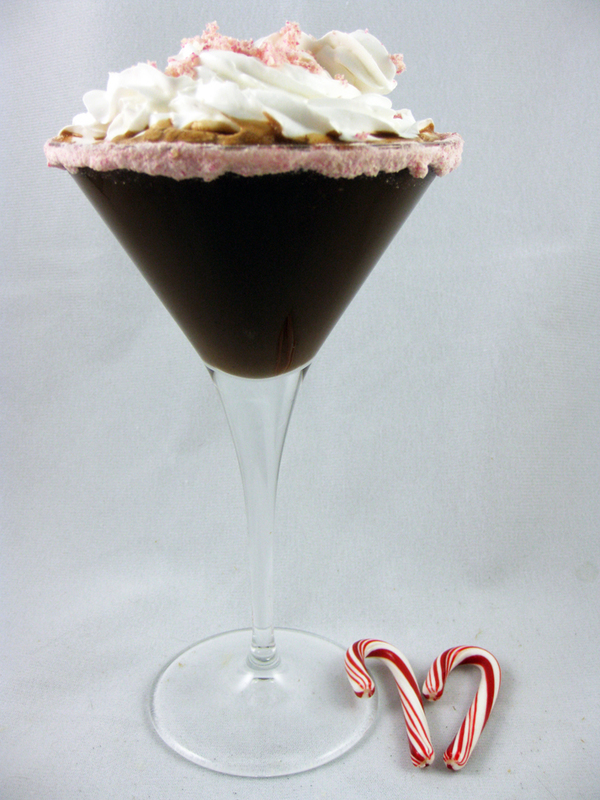 This easy and festive martini features chocolate and peppermint to satisfy your sweet tooth, with a candy cane dusted rim. Should you prefer, a virgin beverage can be made by either adding ½ to 1 teaspoon candy cane dust or ¼ to ½ teaspoon peppermint extract (depending on how flavorful you want your drink). Add an extra shot of almond milk in place of the peppermint schnapps. Using a food processor or mortar and pestle, process/crush candy cane until it reaches a consistency similar to that of dust. Dip rim of martini glass into water and then dip into candy cane dust; set aside. Combine almond milk, peppermint schnapps, chocolate syrup and ice cube in a martini shaker. Shake vigorously for 10-15 seconds and pour into martini glass. 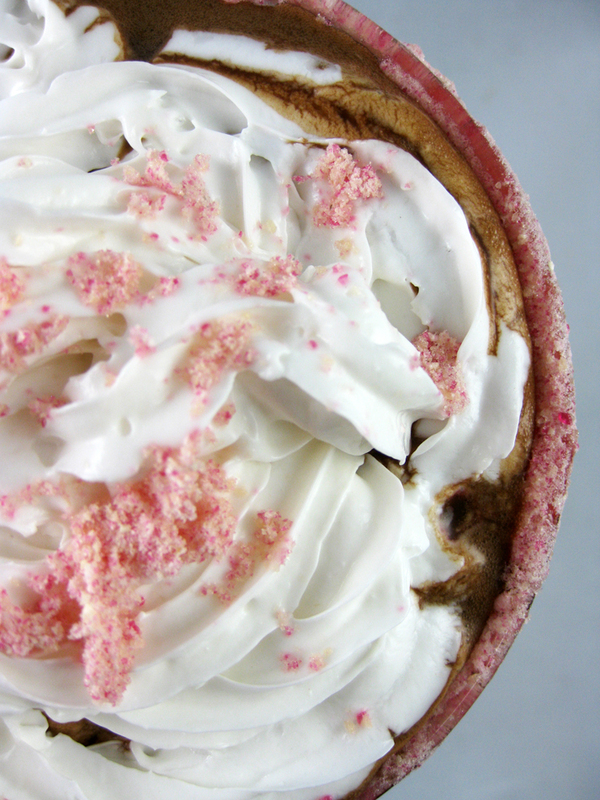 If desired, garnish with non-dairy whipped cream and a sprinkle of candy cane dust. *Should you prefer an even creamier beverage, you can easily substitute your choice of non-dairy creamer in place of the almond milk. How is this vegan with red candy canes? I have never seen a vegan red mint candy cane in all my twenty-two years of being vegan. They are either white/tan or have red 40 which is insect derived therefore: It is not vegan. Hello Lisa, thank you so much for the information. Upon reading your comment, I did a little research on my own. According to Snopes.com (http://www.snopes.com/food/ingredient/bugjuice.asp) Red dye #40 is coal-derived and does not come from the cochineal beetle as often believed. There are various other sites that mention this as well. Thank you, Debby! Happy Holidays!